What are investor relations? The best way to explain this field is to think of a CEO of a publicly traded corporation. The CEO is at the top of the corporate pyramid and is completely responsible for running the entire company. To make it more recognizable, let's use a company everyone knows - Apple. The current CEO of Apple is Tim Cook. Believe it or not, Tim Cook, just like most students, gets a report card. Instead of being graded on math, reading, and science and receiving an A, B, or C, Tim Cook (like all CEOs) is being graded on the performance of his company. His grade is the stock price of Apple over time. If people feel that Tim Cook is doing a good job, and it is being reflected in the stock's performance, the company will likely go up. For the CEO, this means recognition and lots of money, considering that many CEOs are compensated through stock options in addition to their salaries. As the price of the stock increases, so does the value of those options. However, if investors don't have faith in the CEO to increase the value of the firm or believe that the CEO is taking the company in the wrong direction, it is likely that the stock price will decrease. When this occurs, in many cases, the CEOs compensation will go far down. If the stock declines over a long period of time, the CEO can even be fired or forced to resign. Now that you understand how important the stock price is to the CEO, let's look at how the stock price moves in either direction. Stock prices move higher or lower due to the economics of supply and demand. Assuming that the supply of shares remains relatively consistent throughout the year, as demand decreases or increases, so will the price of the stock. How does the CEO effect demand for their stock? This is where investor relations come into play. For many small and micro-cap companies; they have a dual-role CFO or investor relations manager/officer. The purpose of hiring an investor relations officer is two-fold. The first major responsibility for your officer is to build demand for the stock. 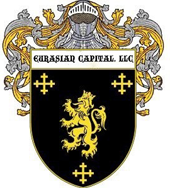 At Eurasian Capital, LLC we market your company to investors, we entice them that your company is a great investment. Put simply, we proactively reach out to investors on your behalf. This involves going to investor events, holding meetings with investors, and answering investor questions that will come into your office from potential shareholders. The other major responsibility of our investment officers is to maintain close relations with current investors. Your stockholding investors are the owners of your company. Our investor relations officers are responsible for keeping your current investors up-to-date with everything that's occurring within the company and how the company's doing financially. As you see, partnering with Eurasian Capital, LLC is a great investment in and of itself with huge ROI.